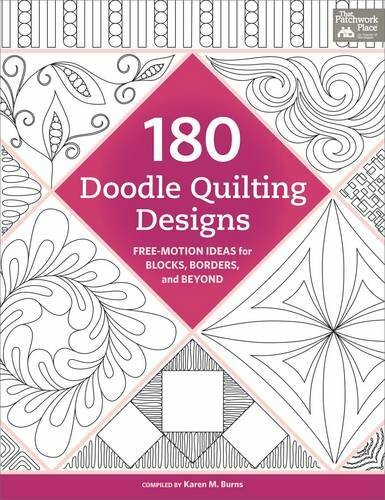 180 Doodle Quilting Designs: Free-Motion Ideas for Blocks, Borders, and Beyond. When you're done piecing a quilt, do you often wonder how to finish it with free-motion quilting? Discover how to fill setting triangles, blocks, and borders with a variety of traditional and modern quilting designs, divided into chapters by style: Lines and Squiggles, Curves and Pebbles, Swirls and Feathers, and Just for Fun. This is a must-have book and lifelong reference for any quilter's library.